South Rwenzori Diocese has a mission to improve the quality of health service delivery through its Diocesan health facilities and centres. Our health mission works in conjunction with the Uganda government target of a Minimum Health Care Package (MHCP). The MHCP aims at availability of health care services to the entire population in need, which has led to a practical stratification of health facilities into health centre I, II, III, IV, V, regional referral and national referral hospitals. ​Average income per household in the diocese is USh400,000-600,000 per year, meaning the majority of the people at district level live below the poverty line. Most rely on subsistence farming, dependent on the seasons and climate conditions beyond their control. This insecurity leaves the rural population prone to disease, which is why our various departments place such a priority on health and sanitation. Common ailments in this population include malaria, respiratory tract infections, water related diseases (diarrhea), intestinal worm infestation, malnutrition in children, tuberculosis, HIV/AIDS, diabetes, and other medical/surgical cases. Because the population is poor, patients can rarely afford to pay for medical services, even if subsidized. A lack of funds often results in poor health service delivery, due to shortages of staff and supplies. Individual health centres must often make do without effective central support/coordination at the diocesan level, hence a need to build and strengthen the central coordination for quality service to be accessed by all people. The hospital at Kagando in Kisinga Subcounty is the oldest Diocesan Medical centre. It started in 1965 as a Leprosarium centre and later was developed into a referral centre for Kasese district. 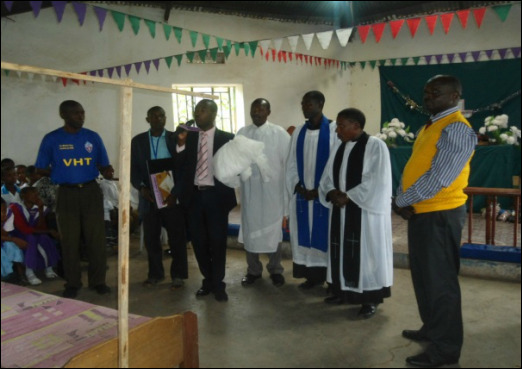 In the late 1980s the South Rwenzori Diocese, in partnership with Norwegian Church Aid under the Integrated Rural Development Programme, set up eight Diocesan health centres to provide accessible, available, quality, and affordable health services to the who Diocesan population. Two of the health centres, St. Paul's and Rwesande, are level IV Health Centres with operating theatres, maternal and child health care, out- and in-patient services, and HIV/AIDS care services. Forty-two parish teams have been formed to monitor community health issues and to provide health education. More water gravity flow schemes have been constructed to provide communities with safe water such as the Bwesumbu gravity water flow scheme funded ACTS - Canada, and Kagando gravity water flow scheme funded by Kagando Mission Foundation – USA. Kagando has 250 bed capacity offering a wide range of curative, surgical, and health care services. The hospital also has activities targeting Community Development, Community Based Health Care (CBHC), water and sanitation, agriculture and animal management extension work. 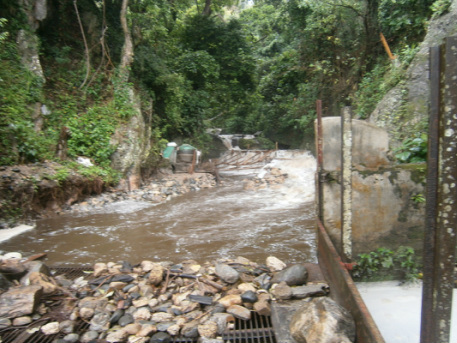 The goal of these projects is improved capacity and upstream health for our catchment area, improving people’s health through improved livelihoods and living conditions. Kagando hospital also has a Nursing and Midwifery training school which trains nurses committed to offering quality care to patients in any health service setting. It trains those called to serve in health service delivery, whether in SRD, or at the district and national levels. Visit the official website of the Kagando Mission Hospital Foundation Inc., www.kagando.org, (a charitable organisation in the US) for more information. A new neonatal ward has been constructed. 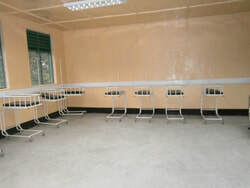 This has additional facilities for the mothers, with staff taking greater care of the babies, a new concept in Uganda. Work is continuing on the hydro-electric dam to increase water flow to provide much-needed additional electricity for both the hospital and the surrounding community. 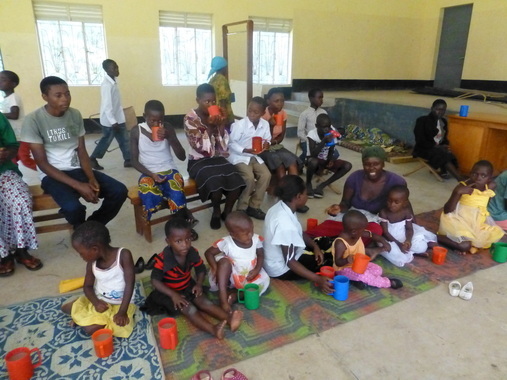 Psychosocial support is being provided to children living with HIV/Aids and their carers through a monthly fellowship group aimed at providing medical, nutritional and spiritual advice and reducing isolation in rural communities. Five private self-contained rooms for maternity care now provide additional income for the hospital. The Physiotherapy department is assembling 250 wheelchairs provided by Motivation (UK charity) and distributing them to children with complex disabilities as funds allow. The centre was small, hence the use of the old cathedral and associated offices for conversion as wards, allowing segregated wards. A new maternity ward with 26 beds has been built at St Paul’s Health Centre and now handles around 120 births per month, about 40% of which are Caesareans. A 20-bed medical ward in the former cathedral is now open, and new private wards (7 beds) in the former Diocesan offices are almost complete (these will provide income). A scheme for promotion of safe motherhood by paying subsides to the vulnerable mothers who deliver at St. Paul’s Health Centre has been set-up with support from Friends of Kagando (James Knott foundation-UK) to encourage mothers to deliver at the health facility, hence reducing maternal and infant mortality. Centre II which offers only out patient services. Officially launching the fight against malaria in one of the parishes of South Rwenzori Diocese with the priest and lay reader at a Sunday service. 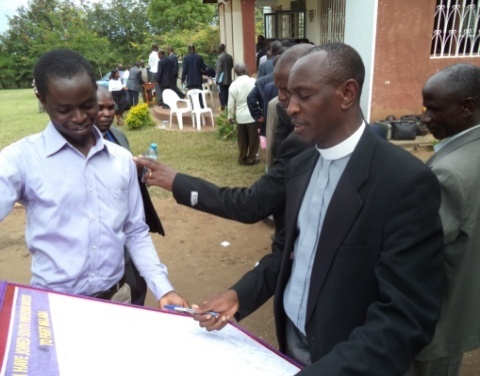 The Executive Director, KARUDEC, Rev.Canon Benson Baguma representing administrators of other health facilities in signing an agreement to fight malaria to zero. 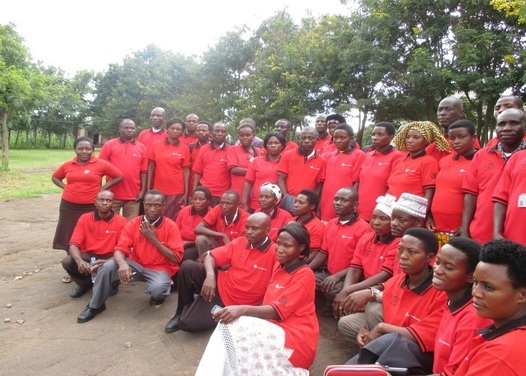 Young and Powerful Initiative in partnership with Save the Children is implementing MNCH (Maternal New born and Children Health) programme in South Rwenzori Diocese with a goal of reducing maternal, newborn and child mortality through improved child health interventions in Diocese. Increase availability and quality of essential maternal newborn and child health services at health facilities and community level including youth groups. Increase utilization of quality maternal newborn and health services. Increase community acceptance, support and demand for high impact interventions for maternal newborn and child health. The role of Young and Powerful Initiative on the project is to lead on mentorship of youth peer educators and Village Health Team members for Community Family Planning distribution. Young and Powerful Initiative also support the roll out of partnership defined quality (PDQ) committees to community and health facilities in the Diocese. Pregnant women and women in child bearing age 18 – 35 years. Children aged up to 5 years. Pray that our church-founded health facilities obtain more financial resources to recruit motivated staff so as to address the understaffing problem. Pray for the urgent need of training the 42 parish health teams in the basic health promotion scheme at a total cost of 8,.4m Ush. 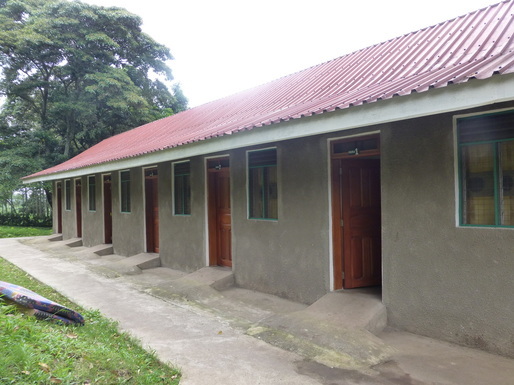 Pray for the completion of the construction of the general ward at Musyenene health centre 3 which has stayed at ring-beam level for over 10 years due to scarcity of resources (need to raise 120m Ush).